As we near the end of another beloved series, I feel like reflecting on series that I miss, but that ended things properly on their own terms. In no particular order I salute The Sixth Gun, Y: The Last Man, Locke and Key, Mind MGMT, and Sweet Tooth. I hold a special place on my bookshelf for you all and enjoy revisiting your stories on an annual visit. Chew will find a place on that shelf soon, but other series that seem to overstay their welcome and moved on. Chew #57 - All of the pieces of this bizarre puzzle are starting to come together. Either John Layman is a genius, or he is doing one amazing job at connecting the dots in one of my all-time favorite series. We last left with Tony Chu having to eat Mason Savoy to gain his knowledge of the avian flu. Amazingly enough, Layman managed to utilize various food based talents as the root of the cause. This somehow brings together all of the various cibo-related individuals we learned about throughout this series and this issue brings us to the source of their powers. I don't want to give Layman a big head, but the way that everything is coming together is mighty impressive. The only negative thing I can say about this issue is the final message conveyed to Chu from Savoy. I am going to pretend that it isn't true and that somehow Chu will find an alternative. From what Layman has hinted at on social media, I don't think anyone is going to survive this series. I'm still bitter about Poyo. 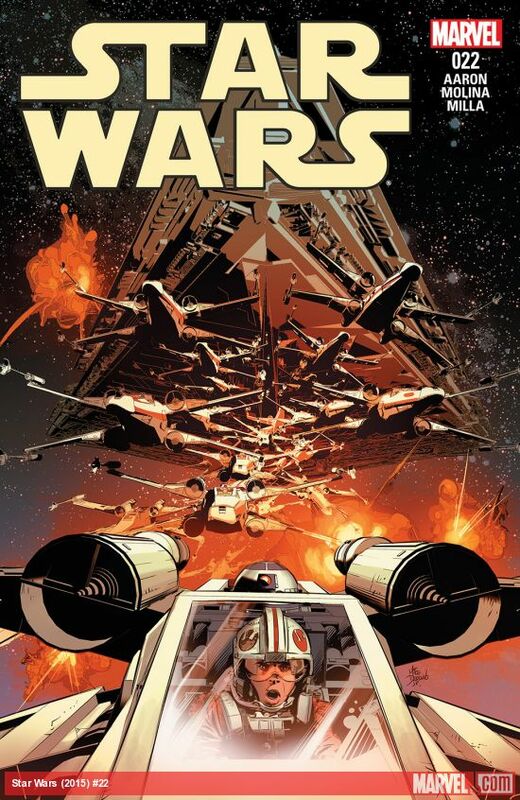 Star Wars #22 - I had thought this series was starting to cool off, but then we are treated to a high-octane issue with an immensely satisfying payoff. The Rebels are trying to sabotage a Star Destroyer with the assistance of the Millennium Falcon and its standard crew. This issue feels like watching a classic Star Wars battle with near misses, X-Wings sadly going down, and Luke using the Force to guide his actions. In order to avoid spoilers I won't spill the beans on the payoff, but this issue, which felt like a simple and fun action oriented issue, ends up being a huge strategic move by the Rebels that should pay dividends immediately. Dept. 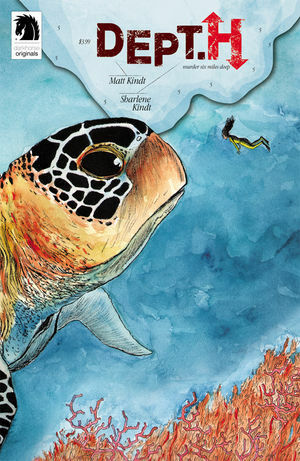 H #5 - Matt and Sharlene Kindt's murder mystery under the sea has really picked up in this issue. There are a lot of suspects as to who had the means and motivation to murder Mia's father. This issue really intensified things in terms of how far our culprit is willing to go to prevent Mia from getting to the bottom of things. This series features and incredible story and the visuals that I've grown to love from Kindt. His watercolor style is absolutely stunning and really adds an erie element that works incredibly well for this series. A reader in the letters sections compared this book to Bioshock, and while there are stark differences, the haunting underwater vibe is very similar. True Stories #2 - Derf Backderf has collected some of his comics from The City, ranging from 2009-2014. I was introduced to Backderf's autobiographical style in the amazing My Friend Dahmer, his account of growing up with Jeffrey Dahmer (a Nerds of a Feather Best Comic of 2012! ), and this book has a similar feel. 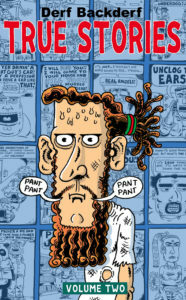 This book is a collection of one page comic strips of first or second-hand accounts of people watching. It is a nice slice of life book in which we are all flies on the wall observing humanity and all of its flaws. Good stuff.